The Lelung Dharma Centre have been organising Therapy Days and Workshops for many years in order to fundraise for the Trust. 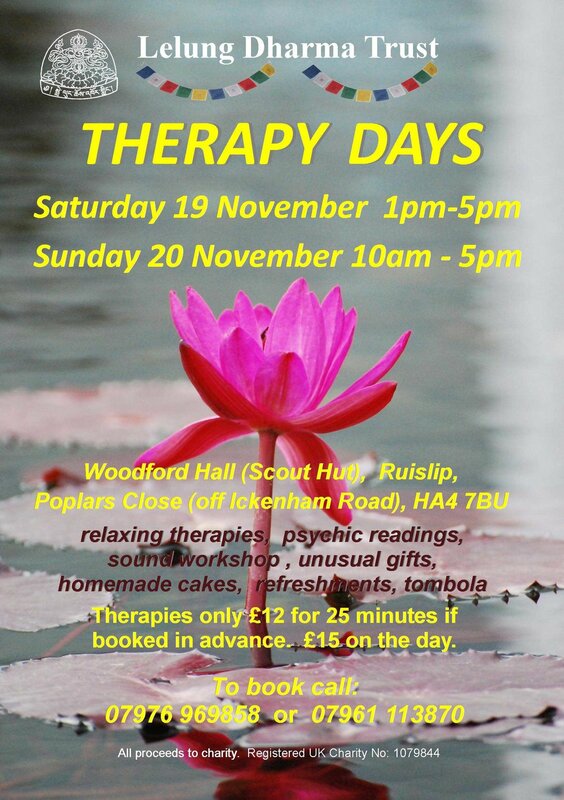 Members of the public have a chance to try different therapies ie reflexology, Tui Na, Amatsu and various types of massage at a reduced price. These days are always very well attended and popular. If you are a therapist and feel you would like to donate some time in this way or you would like to volunteer for work in the Charity Shop, please get in touch with us.